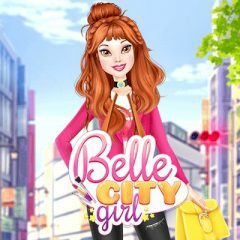 Belle is a true city girl who knows what every girls should take into consideration. Help her to dress up! Each girl knows how important it is to look amazing. Help Belle to get the best makeup and then match it with the outfit you are going to wear.